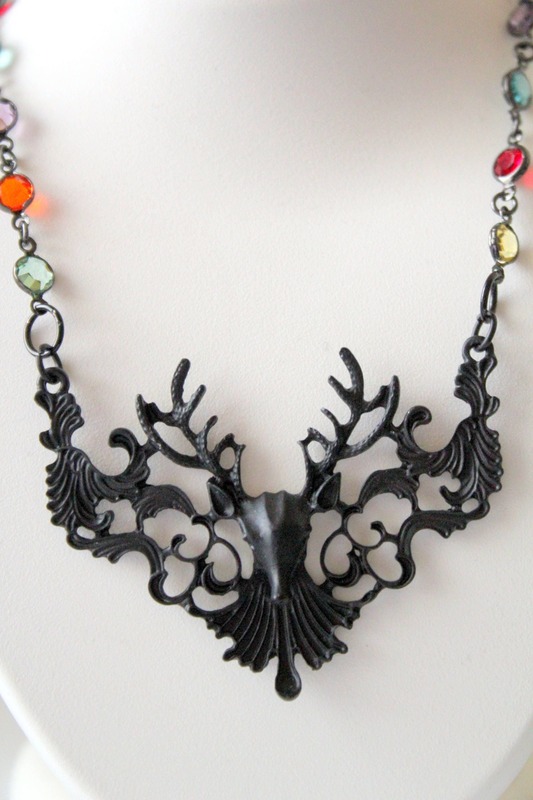 This necklace features a black cast metal stag's head that looks very Victorian. The pendant is 3" wide and 2" long from the antlers. It has ornate details like a European coat of arms or a carved wood door ornament. It is light weight. 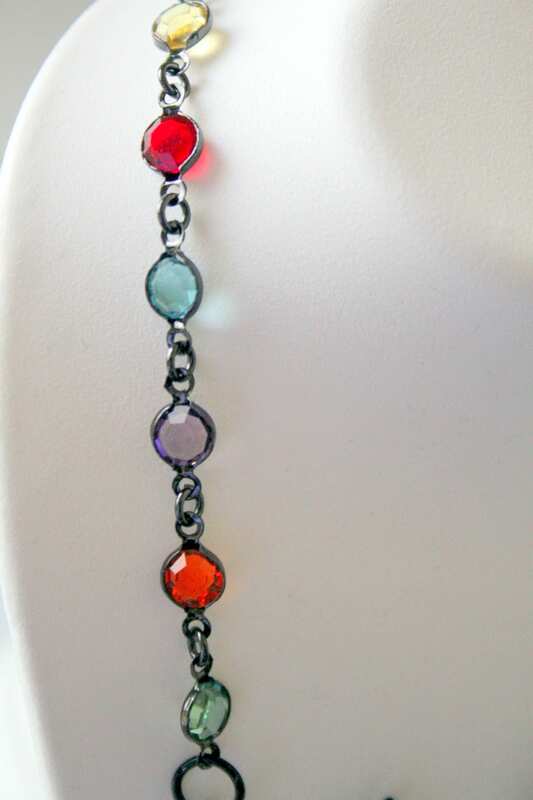 The stag hangs from a black chain that has multi-colored crystal chaton beads in jewel tones such as red, amber, green, purple and pale yellow. 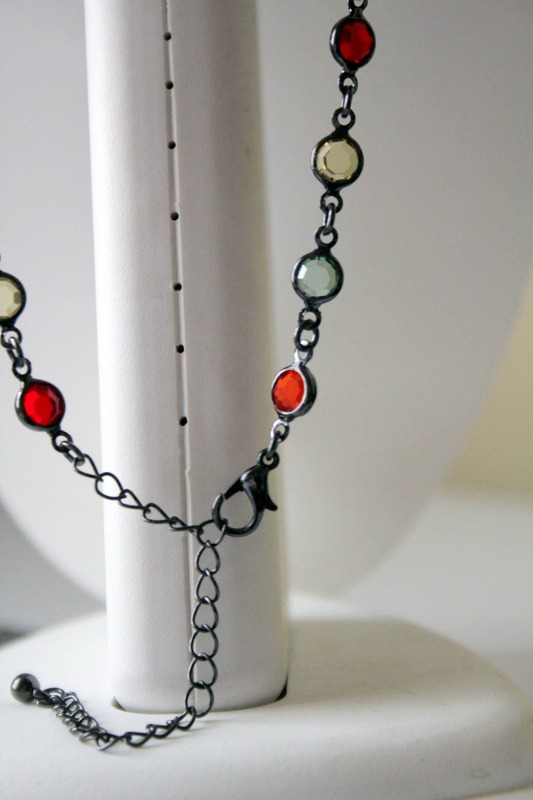 The necklace adjusts from a 19 " choker to a longer 22" if let out. It has a black lobster clasp. 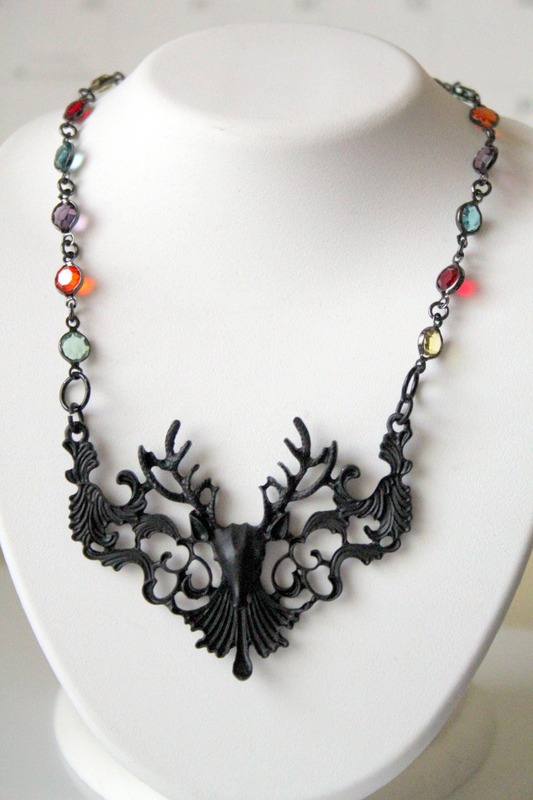 It would look great with a simple black dress or with gothic clothing.